Ischemic stroke occurs when an artery (blood vessel) carrying blood to the brain is blocked. High blood pressure is the most important risk factor for this type of stroke. 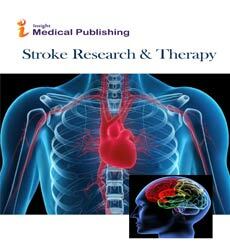 Ischemic strokes account for about 87% of all strokes. The underlying condition for this type of obstruction is the development of fatty deposits or blood clots lining the vessel walls, narrowing the arteries in the neck or head. This condition is called Atherosclerosis. These blood clots can cause two types of obstruction: Cerebral thrombosis and Cerebral embolism. Cerebral thrombosis refers to a thrombus (blood clot) that develops at the clogged part of the vessel. This type of stroke is usually seen in people with high cholesterol levels and atherosclerosis. Cerebral embolism refers generally to a blood clot (embolus) formed somewhere other than in the brain itself. About 15% of embolic strokes occur in people with atrial fibrillation (Afib). Ischemic stroke is treated by removing the obstruction and restoring blood flow to the brain.